SETAC Europe is one of the 5 Geographical Units of SETAC working under the umbrella of SETAC World. SETAC Europe is comprised of some 1,600 individual members and institutions from academia, business and government. Globally, SETAC has some 5,400 members. As a Geographic Unit, SETAC Europe has an independent status and is registered as a not-for-profit member organisation in Brussels, Belgium. SETAC Europe is governed by a Council of up to 21 members elected by the SETAC Europe membership – as long as you are registered as a voting member – at the Annual General Assembly which takes place during the annual meeting. 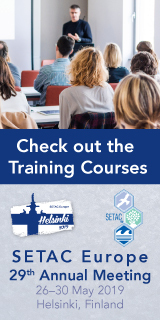 The main responsibilities of the SETAC Europe Council are the strategic planning and policy setting for science issues, meetings, education & certification, publications, membership development and outreach, public relations, finances and awards. SETAC Europe activities are executed through the Brussels office and volunteer committees. SETAC Europe’s annual turnover is around 2 M€. Working in the SETAC Europe Council gives you the opportunity to shape the future of the Society with a dynamic international and highly motivated team of professionals and volunteers. 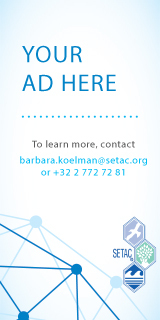 The average time investment for SETAC Europe Council members is about two to four days per month, including monthly conference calls and activities related to one of the standing committees of SETAC Europe (awards, certification, development, education, finance, long-range planning, membership and public relations, regional branches, science). Apart from the annual meeting, the Council convenes for two days face-to-face meetings twice a year, usually in September/October and January/February. SETAC Europe Council members serve for a period of three years and may be re-elected for one additional term of three years. The tripartite representation from academia, business and government is essential for SETAC and is reflected in all activities organised by SETAC. The SETAC Europe Council is aiming at a balanced representation from sectors, geographies, gender and disciplines. Considering the current composition of the Council, candidates from the government sector are explicitly invited to apply. 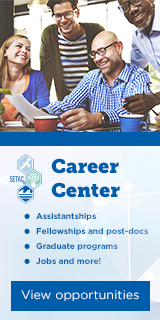 SETAC is striving to an adequate reflection of the membership in the Council and invites students to apply when having more than three years professional experience and active involvement in SETAC affairs. Please apply using the SETAC Europe Council application form and send your candidature to SETAC Europe attn. to Anne Alix, Chair of the SETAC Europe Nominations Committee by 25 February 2019. The SETAC Europe Nominations Committee selects eligible candidates to be nominated for election at the Annual General Assembly to be held on Wednesday, 29 May 2019 in Helsinki, Finland. The term of elected candidates will start upon this date.